Music has no boundaries. It just flies and reaches every heart. It entertains you, motivates you, encourages you and best of all heals you. 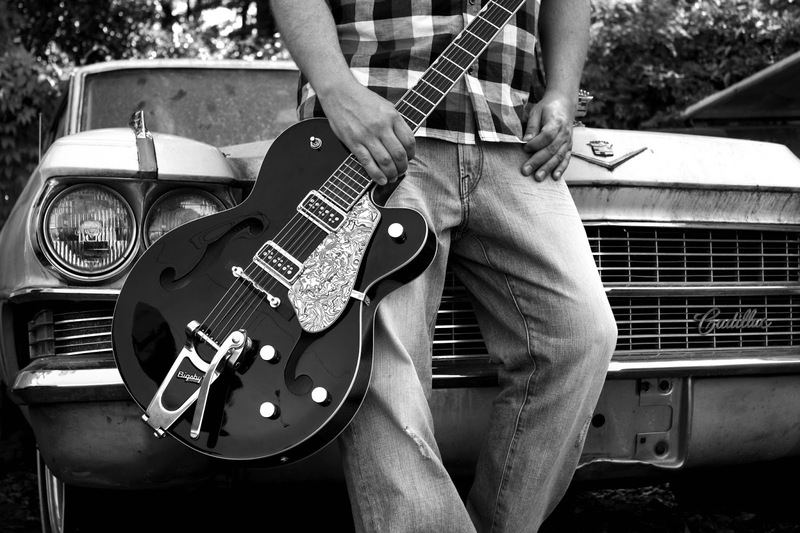 Be it any hour of the day, no matter what mood you’re in, just put the music on and you will feel relaxed. It's said that music should either move your feet or move your heart. But what's coming next will move both. The Dire Straits Experience, the famous British rock band is all set to sweep your feet off the floor. They are playing for the first time in India and the cause for which the event is organized will steal your heart. 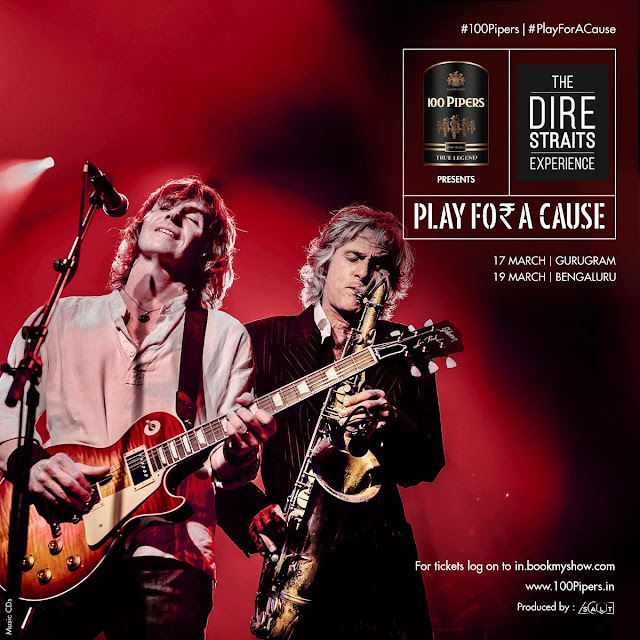 100 Pipers `Play for a Cause`, an initiative that inspires us to `Be remembered for Good`, is the reason why the band is coming to India. Through this initiative, the band will support the cause to provide sustainable drinking water to villagers in Rajasthan. Well, it's going to be mesmerizing seeing a band who has sold over 100 million copies and won three Brit awards, performing live. Dire Straits is one band which has touched almost all elements of rock music. They have been the veteran rock & rollers of the '80s. 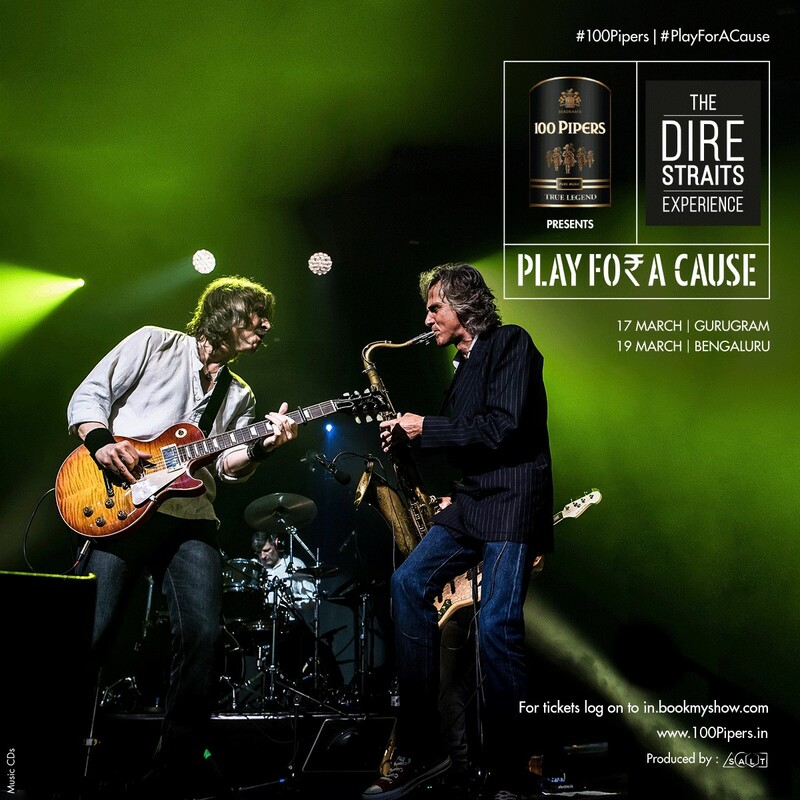 This formidable event in India will feature original Dire Straits band mates Chris White (sax, flute, percussion, vocals) and Chris Whitten (drums) supported in the lead by Terence Reis (Lead Vocals and Guitar), with whom they will revive the Dire Straits repertoire in an unforgettable manner. For the fans, it's an absolute must-see as they will play some of their greatest hits including Money for Nothing, Walk of Life, Brothers in Arms, Sultans of Swing, Romeo and Juliet, Tunnel of Love and more. No doubt that on 17th and 19th of March, Gurgaon and Bengaluru will experience the best taste of rock music possible. Tickets can be booked via BookMyShow.com. And check out 100 Pipers Facebook and Twitter pages for more information! It's your chance to "Be Remembered for Good" and when it comes along with enjoyment then why to wait? See you guys at the event as I will be there for sure.